Comicfest 2015 is here! Head over to the Facebook event for all the details and to receive event updates. 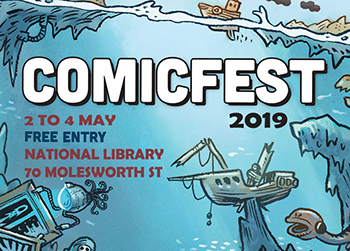 There are panels and workshops for comic-lovers of all ages, and don’t forget to come along to the Central Library on Saturday 2nd May to pick up a free comic book on Free Comic Book Day, courtesy of GRAPHIC! 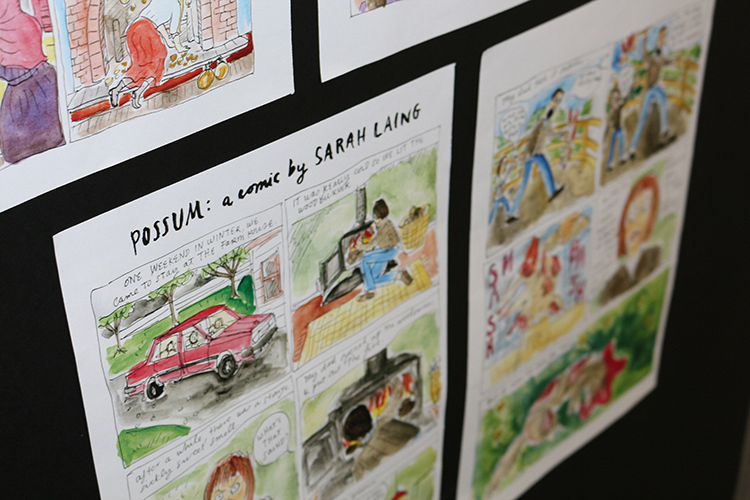 Today we’re talking to Sarah Laing about her comic work, and what we can look forward to at her Comicfest panel and workshop. Sarah Laing is a Wellington-based novelist, cartoonist and graphic designer. She’s contributed regular comics to Metro magazine, Little Treasures, the AA magazine and many international anthologies. 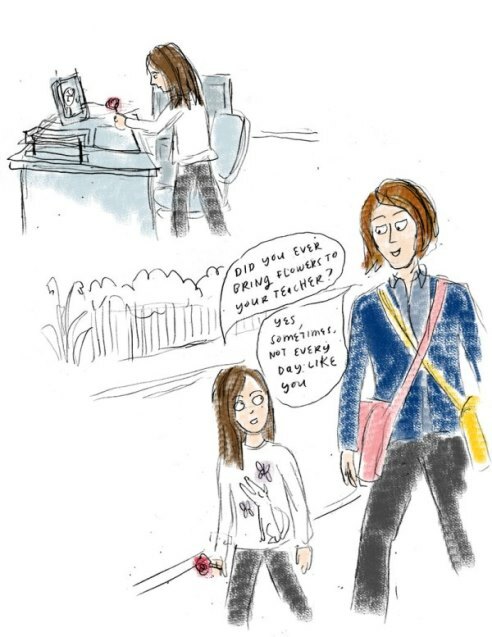 She ran a comics blog, Let Me Be Frank, for a number of years before she put it on hold to complete her Katherine Mansfield-inspired graphic novel. Pikitia Press published five issues of comics selected from her blog. Her most recent novel, The Fall of Light, encapsulates drawings evoking the dreamscape of a troubled architect. 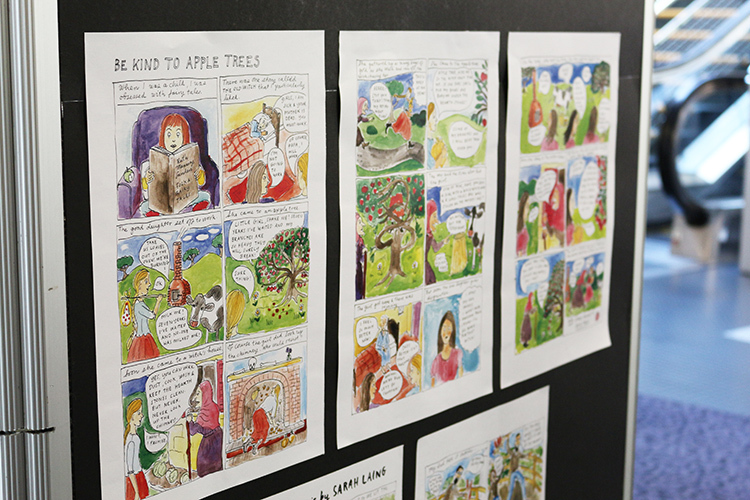 Sarah has also illustrated children’s books, and although her work mainly deals with adult themes, her children are petitioning her to draw a kids’ comic next. When I had my first son in 2003, I started a Mama diary, recording all the frustrations and minutiae of motherhood, and my attempts to finish my first novel. I’d just finished Marjane Satrapi’s Persoplis series and I was inspired to start drawing again. I am working on a memoir/biography inspired by Katherine Mansfield, charting her life and my desire to be ‘a writer, a real writer’*. 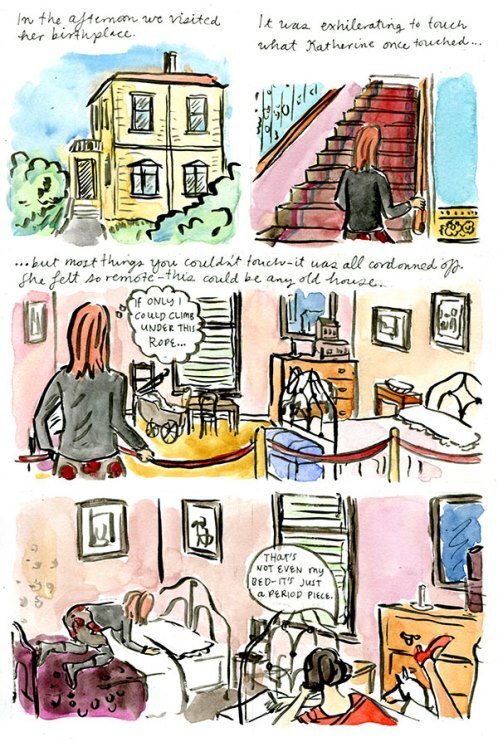 I have also just completed a short residency at Wai-Te-Ata press at Victoria, working on comics inspired by Patricia Grace’s novel ‘Tu’. *’Oh to be a writer, a real writer’ is a quote from Mansfield’s diaries. Who/what is your biggest influence or inspiration? Before I wanted to be a writer or a cartoonist I wanted to be a singer. I think one of my biggest inspirations are musicians – at this moment I most admire Björk. She is constantly reinventing herself, she reveals her most intimate, visceral experiences, she is avant-garde, innovative, and uses her entire voice – the ugly and beautiful parts of it. What are you excited to share with ComicFest attendees? Just a taster! I want everybody to know that they can make comics – you don’t need to be a good drawer. 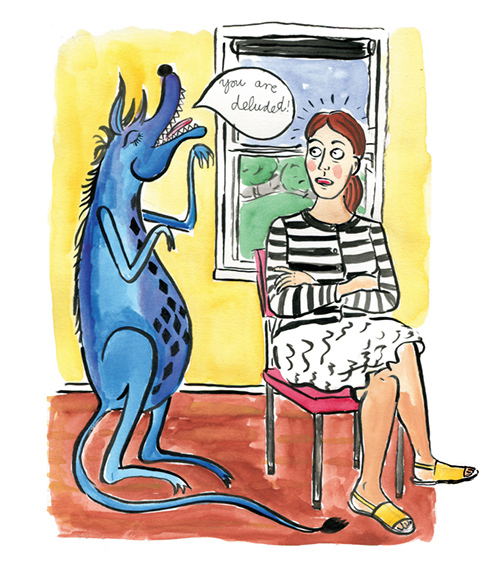 And comics can be anything: poetry, abstract art, a rip-roaring yarn, a diary. Comics is a powerful medium in which to express your own take on the universe, your own world view. I’m a novelist and a short story writer. I voraciously consume novels and podcasts and I also love watching all the great TV series that are coming out these days. I used to go to the movies and bands all the time, before I had my 3 kids. Now I garden, cook, work as a freelance graphic designer and illustrator.